Amazon.com Price: $12.93 (as of 20/04/2019 23:26 PST- Details)	& FREE Shipping. In 1973, Solaray began to formulate herbal blends for specific health benefits. Over the years, Solaray pioneered many innovative products and has become a trusted full-line dietary supplement brand found in health and natural food stores all around the world. 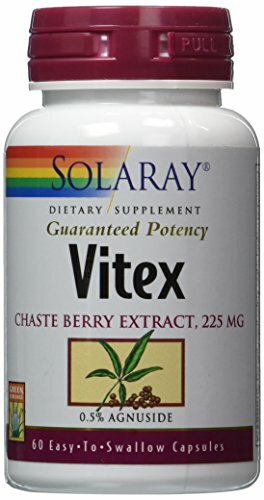 True to our commitment to stay leading edge in powerful supplementation, we are proud to offer our Vitex Chaste Berry Extract! Vitex, also known as chaste tree or chasteberry, is a purple-flowered shrub belonging to the Verbena family. Native to the Mediterranean region, it has a long history of use among women dating back over 2,500 years. 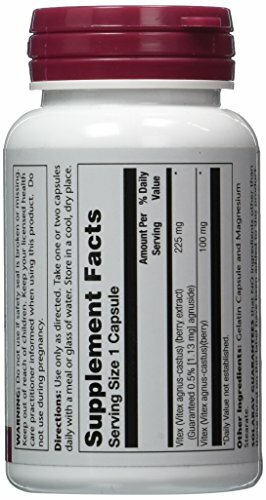 Thought to support healthy balance and women’s health in addition to menstruation support, Solaray Vitex Chaste Berry Extract is guaranteed to provide 0.5% (1.13 mg) Agnuside per vegetarian capsule. Our non-GMO, vegan Chasteberry Extract supplement is lab verified for identity, potency, and purity, contains no excipients or fillers, and comes with a 60-Day Money Back Guarantee. Our quality is a difference that you can feel. 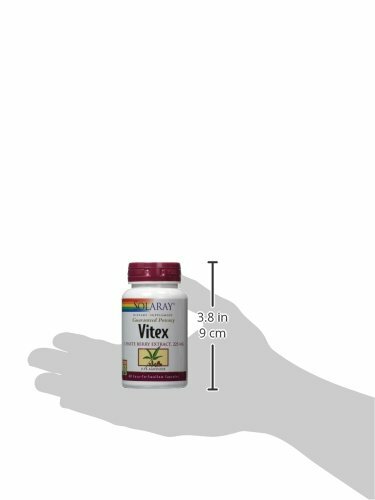 Feel the difference of our Vitex Berry Extract 225mg – order a bottle today!